Constipation is a common health problem that most individuals face at some point in their lives. Constipation is defined as infrequent and irregular bowel movements caused by poor diet. Individuals who do not consume enough fiber rich foods or drink enough water often struggle with constipation because the body is needs water and fiber to produce certain digestive acids and enzymes crucial to proper digestion. Those who suffer from constipation have difficulty passing stool, which can cause a lot of discomfort. One of the most effective natural remedies for treating constipation is blackstrap molasses. Blackstrap molasses is thick, dark syrup derived from pure cane sugar. It is a concentrated byproduct, which is further boiled down to a green/yellow color once the sugar is crystallized. This product is then boiled twice more until it becomes black in color. Blackstrap molasses is high in calories and has a strong taste, so it is important to only use blackstrap molasses occasionally when treating constipation. Is Blackstrap Molasses Good for Constipation? Blackstrap molasses helps prevent constipation and other health problems. The following properties of blackstrap molasses explain why it is an effective method of preventing constipation. Despite being high in iron, black strap molasses does not cause constipation. Many other foods that are high in iron are known to result in constipation. Blackstrap molasses contains many essential vitamins and minerals, such as vitamin B6, magnesium, iron, copper, calcium, potassium, manganese, selenium, and others, which help prevent constipation. Magnesium in particular helps treat constipation because a magnesium deficit is one of the main causes of constipation. Blackstrap molasses has rich amount of magnesium which helps to prevent constipation. Doctors often prescribe magnesium citrate to patients with occasional constipation because it is so effective in preventing constipation and digestive issues. Blackstrap molasses has a mild laxative property, which helps ensure regular bowel movements. The calcium in blackstrap molasses helps remove waste and other toxic material from the colon, which helps the digestive organs perform optimally. A colon cleanse is often recommended to cure constipation. Because blackstrap molasses is alkaline, it balances the pH of the stomach, which helps the intestines produce proper stool and regulate a person’s bowel movements. Finally, it helps to treat stomach and digestive problems by soothing stomach aches, preventing irritable bowels, and facilitating proper digestion. 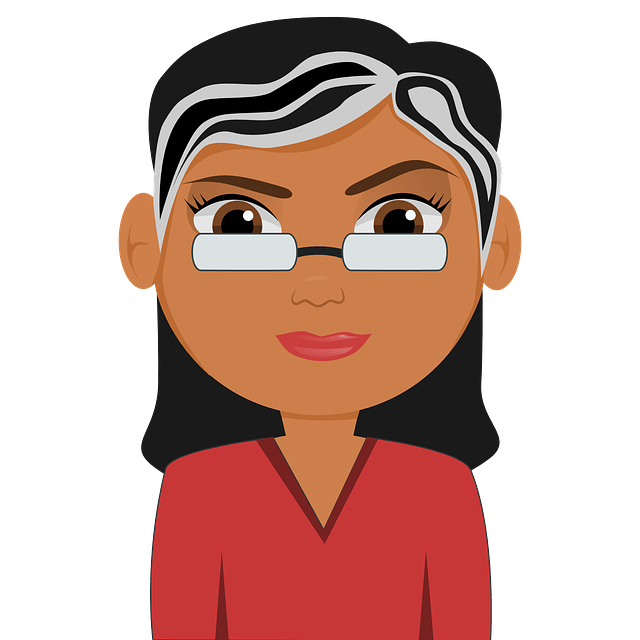 How do you use Blackstrap Molasses for Constipation? Any of the following methods will help you gain relief from constipation. It is important not to use these methods daily without talking to your healthcare provider first. Blackstrap molasses is high in calories and iron, which can lead to constipation if over consumed. Add a tablespoon or two of blackstrap molasses to your breakfast cereals, muesli, porridge, smoothies, coffee, milk, tea, and desserts. Add blackstrap molasses to cookies and cakes to improve taste and cure sugar cravings. Add blackstrap molasses to baked goods such as muffins or biscuits. Use blackstrap molasses in place of syrup on top of waffles and pancakes. 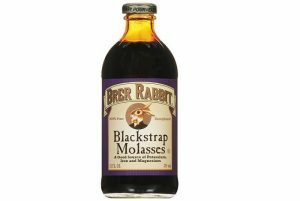 Add blackstrap molasses to baked beans, casseroles, soups, or as a meat or vegetable glaze. Baste a whole chicken or turkey with blackstrap molasses to get a rich color and taste while aiding digestion and preventing constipation. Add blackstrap molasses to oatmeal, orange juice, or milkshakes to help get relief from constipation. Add 2 tablespoons of blackstrap molasses to ½ cup of warm water directly before going to bed. Stir the mixture well and drink to get relief from constipation. If the taste of molasses is too strong, consider adding it to tea or fruit juice instead of water. This mixture should be consumed three times a day to best relive constipation. This process creates a laxative effect, which helps loosen the stool and make it easier to leave the body. Take equal quantities of honey and blackstrap molasses and add to a small bowl. Mix well and take 1 tablespoon of this mixture three times per day to eliminate constipation. Continue to use this mixture when you are suffering from constipation. Note: this mixture is high in calories and should only be used occasionally. Combine 1 tablespoon of blackstrap molasses with 1/8 teaspoon of cayenne pepper and a few freshly minced garlic cloves. Stir well and consume when you are in need of constipation relief. Consuming this mixture regularly will help prevent constipation by regulating bowel movements. Prune juice provides a powerful laxative punch when mixed with blackstrap molasses. Mix 1 teaspoon of blackstrap molasses with 1 cup of prune juice. Stir well and drink the mixture to cure constipation. This mixture can be used regularly to ensure proper digestion. Combine 2-3 tablespoons of blackstrap molasses with 2-3 tablespoons of peanut butter. Stir mixture well and consume in the morning. Consuming this mixture in the morning will help regularize bowel movements for the day. Combine 2/3 cup canola oil with 1 cup sugar. Add ¼ cup blackstrap molasses, 1 egg (beaten). In a separate bowl, mix 2 cups of all purpose flour with 1 teaspoon ginger, 1 teaspoon cinnamon, 1 teaspoon cloves, 1 teaspoon baking soda, and 1 tablespoon of water. Combine wet and dry ingredients and mix until it becomes a fine dough. Roll small portions of dough into balls. Place each ball of dough about 3 inches apart on an ungreased baking sheet and bake for 8-10 minutes, until the tops crack. Eat cookies as needed to help prevent constipation. Combine 1 tablespoon of blackstrap molasses with 1 tablespoon of apple cider vinegar. Add mixture to 1 glass of warm water and stir until the mixture has dissolved. Drink to get complete relief from constipation. Drinking this mixture regularly will go a long way to prevent constipation. Add 1 tablespoon of blackstrap molasses to 1 cup of hot milk or hot rice milk. Mix until the molasses has completely dissolved into the milk. Drink mixture in the morning on an empty stomach. Drinking this mixture regularly will regularize bowel movements, which prevents constipation. Put 1 tablespoon of blackstrap molasses and place it in an empty glass. Pour 1 cup of hot water over the molasses. Stir until the molasses has completely dissolved. Add ice and top with ¾ cup milk. Note: individuals who are lactose intolerant can use soy, coconut, or almond milk in place of cow’s milk. Consuming this mixture regularly will regularize bowel movements and aid proper digestion. Castor oil helps enhance bowel movements by softening stool and allowing it to come out more easily. Combined with blackstrap molasses, castor oil is an effective remedy for constipation. Combine 1 tablespoon of blackstrap molasses with 2 teaspoons of castor oil. Stir until both are properly mixed. Even babies, toddlers, and children who suffer from constipation can gain relief from blackstrap molasses. The most effective remedy for treating constipation in young children is described below. Add 1 teaspoon of blackstrap molasses and mix well. Give the mixture to the baby as usual to help cure constipation, gas formation, bloating, and intestinal problems. Note: Do not give babies molasses daily. This method should only be used when babies are constipated for direct relief. Blackstrap molasses is also produced as a supplement. One can obtain all of the essential nutrients necessary to prevent constipation from a supplement as he would organic blackstrap molasses. The recommended dosage is one capsule of the supplement per day. This supplement should be consumed with food and water for the best results. It is important to avoid taking too much of the supplement and to keep the supplement away from children. It can be fatal to children under age 9. If a child accidentally consumes this supplement or an adult overdoses, please call your doctor or poison control center for emergency treatment information. Taking blackstrap molasses supplements regularly will allow you to obtain calcium, magnesium, iron, and other crucial nutrients, which will provide relief from constipation. Besides preventing constipation, blackstrap molasses can help prevent anemia, menstrual issues, cancer, arthritis pain, fibroids, aid blood circulation, and alleviate some symptoms associated with pregnancy. It is important to use only organic blackstrap molasses and to ensure that the molasses is sulfate free. Research has shown that blackstrap molasses and milk help cure constipation due to its sodium phosphate content. There is no need to use this mixture as an enema; rather, it can be consumed orally. Avoid taking too much blackstrap molasses as it is rich in iron and excess iron can cause constipation. Blackstrap molasses may also be used to cure hemorrhoids and other side effects of chronic constipation. Blackstrap molasses and its remedies will not provide one time relief. These remedies should be consumed regularly, but not daily, in order to properly aid in digestion. If these remedies do not help with your constipation, you should consult your doctor or healthcare provider for further options to cure chronic constipation. These remedies are natural and safe ways to obtain effective relief from constipation. Do you know any other blackstrap molasses remedies for treating constipation? Then don’t forget to share your experience with us. Will it still work if no bowel movement in 10 days? 10 is pretty long time. It is time to consult the doctor right away. My 13 month old son has been constipated since getting on whole milk. The small amount of stool he releases is hard and black. How much molasses can I safely give him? How often? Thank you. I am taking Black Strap Molasses capsules because I find the syrup is disgusting. Am I wrong in assuming the capsules don’t have the same laxative effect ?